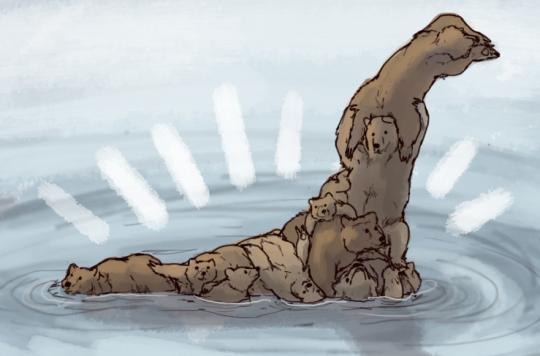 The other night husband and I were watching a documentary about the yeti where they were doing DNA analysis of samples of supposed yeti fur, and every one of them came back as bears. Anyway, the next night we watched a thing about some pig man who is supposed to live in Vermont. People said it had claws and a pig nose but walked upright like a man. Now, I happen to know that sideshows used to shave bears and present them as pig men. So every piece of evidence they gave of this monster sounds to me like a bear with mange. So now the running joke in our house is that everything is bears. Aliens? Bears. 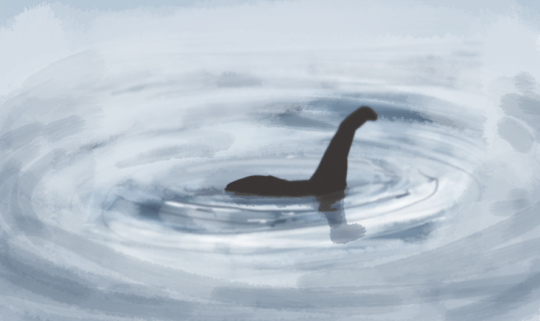 Loch Ness monster? Bear. Every cryptozoological mystery is just a very crafty bear. Bears. They’re everywhere. Be wary. Anyone or anything could be a bear.